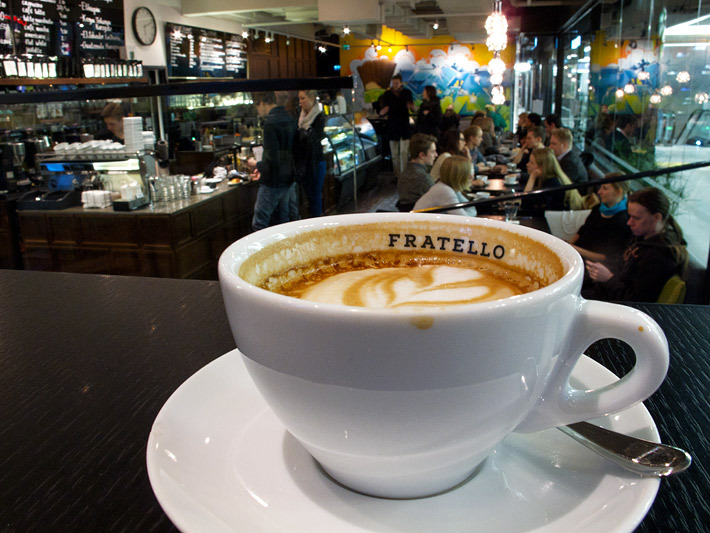 One of my favorite coffee places in the center of Helsinki is Fratello Torrefazione and the main reason is the quality of their coffee. At first I doubted if I would like the place, as it is located in a new shopping center Kluuvi and I was afraid that the feeling inside the café would be hectic, but I was wrong. The place is crowded but cosy. Fratello is popular for many reasons; they have great lunch, excellent ciabattas, delicious ice-cream and above all, tremendously good coffee. My personal favorite is caffè latte, but for the coffee geeks they even have siphon coffee makers.